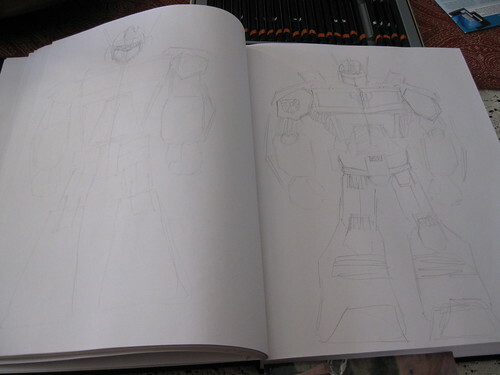 Optimus Prime sketches: 3/3/2010, originally uploaded by AndyBartlett. This is the two-page sketchbook spread I did at lunch today; I’m continuing to work on Optimus Prime from IDW’s ongoing Transformers comic series. The one on the left was done first and is pretty bad. The head is huge, the arms are too short and since I drew everything else so big I ran out of room for the legs. I gave up on it pretty quickly. 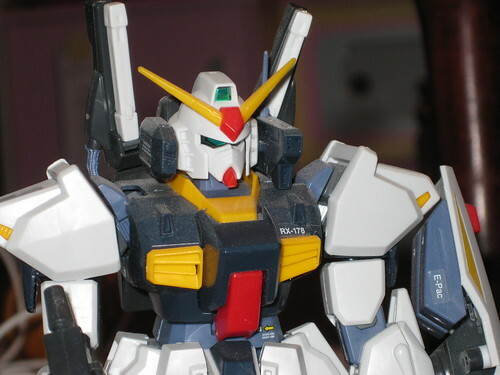 The second one is better; head proportions are better, the chest and lower torso seem to work better, too. The arms aren’t good (too short, again), and the legs feel a little stumpy. But it’s a marked improvement over the first attempt, I think.